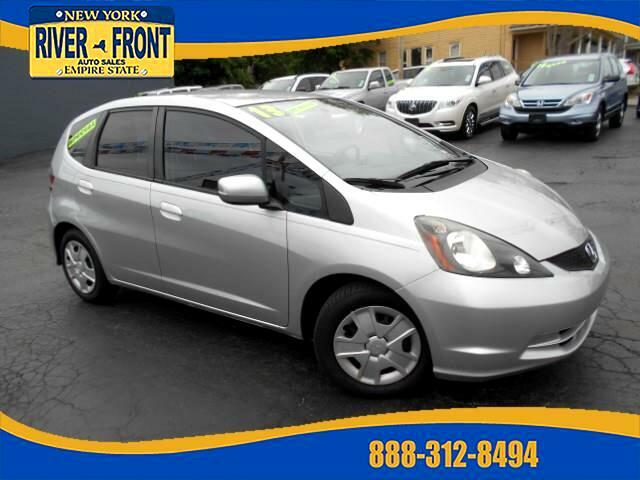 Now available with new exterior colors, the 2013 Honda Fit is a FWD sub-compact five-door hatchback with seating for five. The Fit is powered by a 1.5-liter 4-cylinder engine that produces 117 hp and 106 lb-ft of torque, for a 0-60 time of 8.5 seconds. Transmission options consist of a 5-speed manual and a 5-speed automatic. Fuel mileage is an EPA estimated 27 mpg city and 33 mpg highway. MANY FEATURES INCLUDE, air conditioning, tinted glass, AM/FM stereo, CD player, interval wipers, ABS, power door locks, child proof locks, power windows, power mirrors, tire pressure monitor, cruise control on wheel, tilt steering wheel, keyless entry, lighted entry, driver air bag, passenger air bag, security system, rear defroster, auto trans, curtain air bag, side air bag, front bucket seats, fold down rear seat, console, carpeting, gray cloth upholstery, pinstriping, power outlet, vanity mirrors, glass rear window, seats 4, front arm rests, front cup holders, AUX outlet, and owners manual! Message: Thought you might be interested in this 2013 Honda Fit.